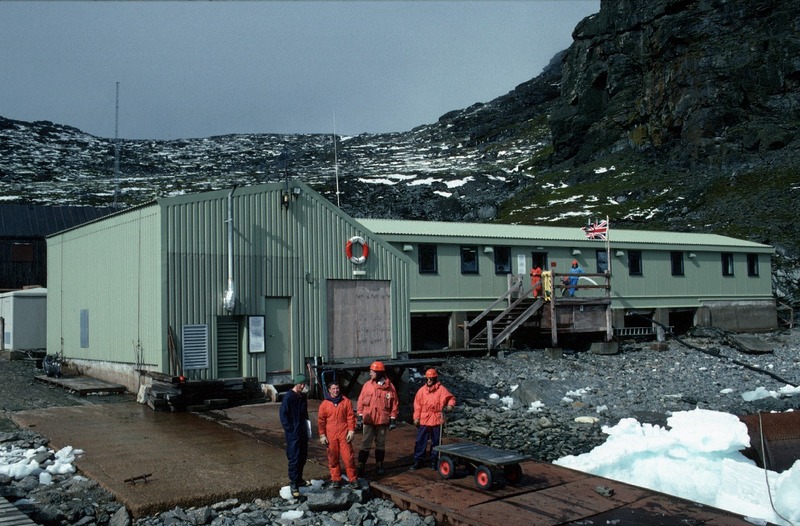 Signy Research Station is Britain’s sole summer-only station, and one of its smallest. The island’s abundant wildlife and greenery make it an ideal outdoor laboratory. Research at Signy focuses on its bird populations and terrestrial ecology. 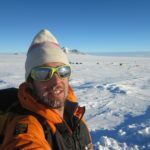 Because terrestrial ecosystems in the Antarctic are so simple – from mosses and bacteria to mites, the largest terrestrial organism – they allow biologists a rare opportunity to understand fundamental processes that would be impossible to unravel in more complex ecosystems. Signy’s research is vital for biodiversity and is underpinned by long-term studies of several species, such as Adélie, chinstrap and gentoo penguins. 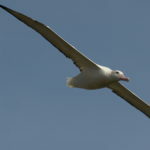 Populations of the southern giant petrel have been monitored at Signy since the 1960s. 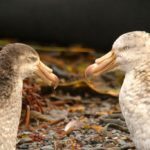 One in ten of the world’s 50,000 southern giant petrels live around Signy, and in 2015 BAS biologists warned that its population has halved over the past 50 years. Signy Island is one of the remote South Orkney Islands, which lie more than 1300 km from the Falkland Islands, 900 km from South Georgia and 600 km from the Antarctic Peninsula. 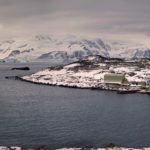 Around half of the island is covered by a permanent ice-cap (although the highest point, Tioga Hill, is a rock outcrop in the middle of the ice). The ice-cap descends to the sea via two glaciers: the McLeod and the Orwell. 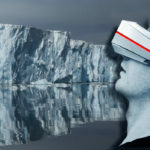 The east and west coasts are generally ice-free during summer, with new areas of rock exposed every year as Signy’s glaciers and ice fields retreat due to rising temperatures. The rest of the Island is covered in lakes, of which there are 16, and snow-free ground in summer, which includes steep mountain slopes, mud flats as well as higher ground with extensive moss banks. 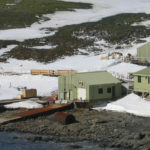 Signy Island falls just south of the limit of the Antarctic Treaty area but Signy Research Station lies within British Antarctic Territory (BAT) and hence it is administered as part of BAT. Signy’s weather is driven by ice. In winter, pack ice from the Weddell Sea moves northwards and surrounds the South Orkney Islands, with fast ice forming between the pack. 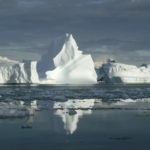 Icebergs remain in the area all year and remnants of pack ice can be expected at any time during the summer. 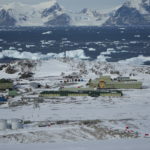 As a result, Signy is effectively attached to the Antarctic continent and the weather assumes a more continental aspect than would be expected from the island’s location, with low temperatures (record minimum -39.3°C) and relatively clear skies. 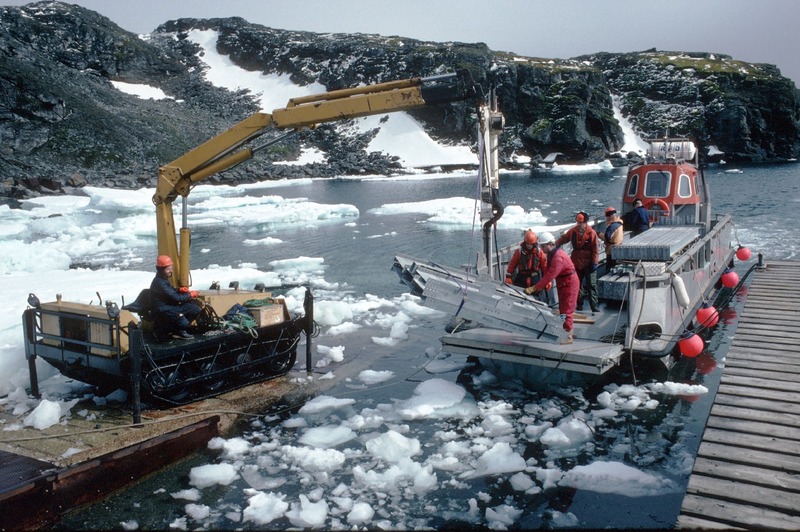 As pack ice retreats during the summer, Signy assumes a typical maritime climate. 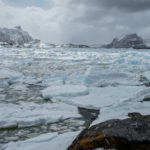 Weather patterns are determined by a series of depressions that pass north-east from the Antarctic Peninsula, bringing warm, wet conditions and much low cloud (the infamous ‘Signy mank’). Summer air temperatures are generally positive (record maximum 19.8°C), although sudden falls in temperature can occur throughout the summer (-7°C has been recorded in January). 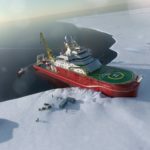 Being north of the Antarctic circle, Signy is never subject to 24-hour days or nights. Cloud cover is over 80% in summer and rain may fall at any time, although this is rarely heavy, but bright, sunny (‘dingle’) days can occur, particularly in November and December. 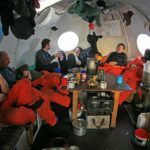 Signy is on the edge of the ‘ozone-hole’, and increased levels of UV light can be experienced from October to December. Signy is also extremely windy. Moving west from Signy, there is no landfall until the South Orkneys are re-encountered having travelled around the world. The island is therefore exposed to any weather approaching from the west. The prevailing wind is westerly, often exceeding the boating limit of 25 knots. Gales are recorded on about 60 days each year. An extreme gust of 115 knots has been recorded. 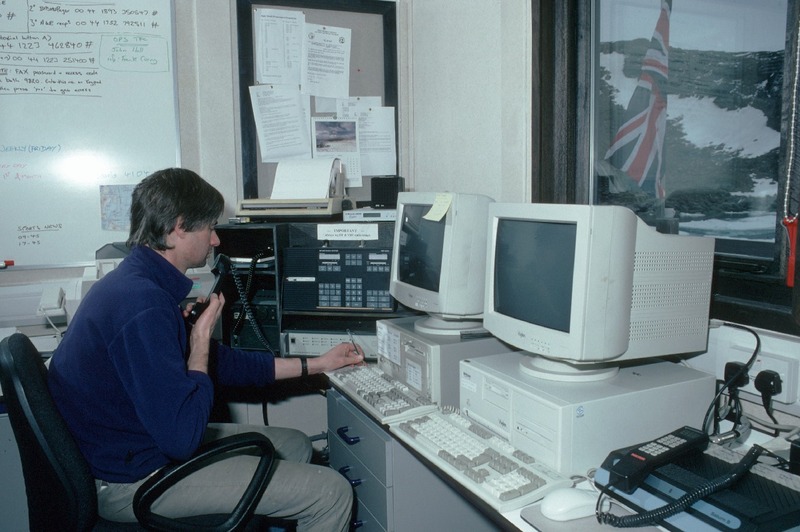 Meteorological records were kept by professional meteorologists from 1947 to 1969 and by station volunteers from 1969 to 1995. 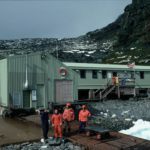 Most of Signy’s flora are cryptogams – plants that reproduce via spores rather than seeds – and the island has only two flowering plants, Antarctic hairgrass and Antarctic pearlwort. The dominant plants are mosses (around 50 species), liverworts (about 12 species) and lichens (around 120 species), with algae and cyanobacteria found in wetter areas. Large moss banks occur on lowland sites. Some moss banks are up to two metres thick and 5,000 years old, but many have been destroyed by fur seals and the mosses replaced by sheets of the green algae Prasiola. With no indigenous terrestrial vertebrates on Signy, predatory mites occupy the top of the island’s terrestrial food web. Signy’s soils and vegetation are colonised by large numbers of invertebrates, including springtails, protozoa, nematodes and tardigrades. Marine life around Signy is plentiful, particularly on rock faces sheltered from ice-scouring. 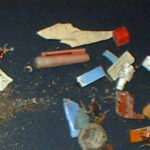 Amphipods, anemones, sea squirts, tube worms, brachipods, limpets, starfish, sponges and sea cucumbers are common, with large numbers of fish found at some sites. Several seal species live around Signy. Weddell seals pup on the sea-ice in winter, and may be seen on ice rafts around the island during the summer. Elephant seals pup in early spring, forming large pods on some beaches during the summer. Leopard seals haul out onto ice floes, usually individually, and may be seen hunting around penguin colonies. Crabeater seals are rare in summer, but may be seen on ice floes. All these are ‘true seals’. 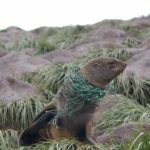 The only ‘eared seal’ seen on Signy Island is the Antarctic fur seal, whose population increased rapidly during the 1980s and 1990s. There are now over 20,000 on the island, most of them young, non-breeding males. Three main species of penguin breed on Signy: the gentoo, Adélie and chinstrap penguin. A few breeding pairs of macaroni penguins may be found each year, with odd sightings of individual king and emperor penguins. Twelve other bird species breed on Signy: southern giant petrel; Cape petrel; snow petrel; Antarctic prion; Wilson’s storm petrel;blue-eyed shag; snowy sheathbill; brown skua; South Polar skua; Dominican/kelp gull; Antarctic tern and black-bellied storm petrel. Antarctic fulmar, which breed on nearby islands, are seen regularly, along with visitors and vagrants such as black-browed albatross and Antarctic petrel. 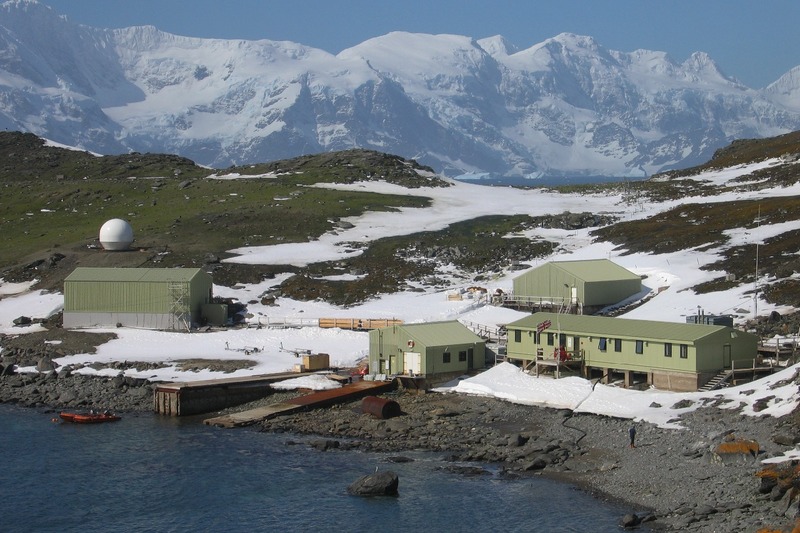 Signy Research Station provides UK scientists with significant opportunities to study penguin, seabird and seal biology, limnology and terrestrial biology related to the southern ocean ecosystems and climate change. 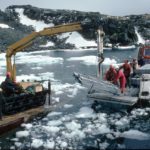 Signy’s research is underpinned by long-term monitoring, some studies extending back more than 50 years, and these long-term studies provide vital data for CCAMLR, the Committee for the Conservation of Antarctic Marine Living Resources. 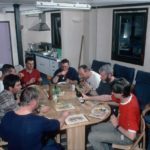 Signy is also a place of international scientific collaboration and capacity building for the polar community. 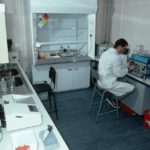 Researchers from the Japanese National Institute for Polar Reseach, the Netherlands Polar Programme and the University of Malaya all work with BAS scientists at Signy. 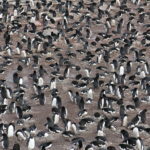 Long-term penguin monitoring at Signy is vital for conservation in the Antarctic. Penguin data collected by BAS scientists is used by CCAMLR for its Ecosystem Monitoring Programme, which monitors the effect of fishing in Antarctic waters. 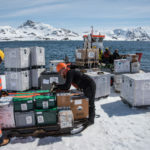 Penguin research at Signy focuses on the three species that breed on the island – Adélie, chinstrap and gentoo – with population size, breeding success and diet composition measured each season. As well as being vital for conservation, BAS science at Signy also strengthens international cooperation in polar research. Here, BAS runs collaborative studies with scientists from Japan, the Netherlands and Malaysia. 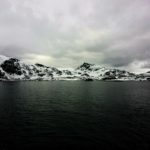 A project with the Japanese National Institute for Polar Research is investigating how marine predators forage in relation to variability in the marine environment – studies which will provide new information about diving, swimming and flight behaviour of marine predators and help us to understand how predators make their living in the Antarctic. 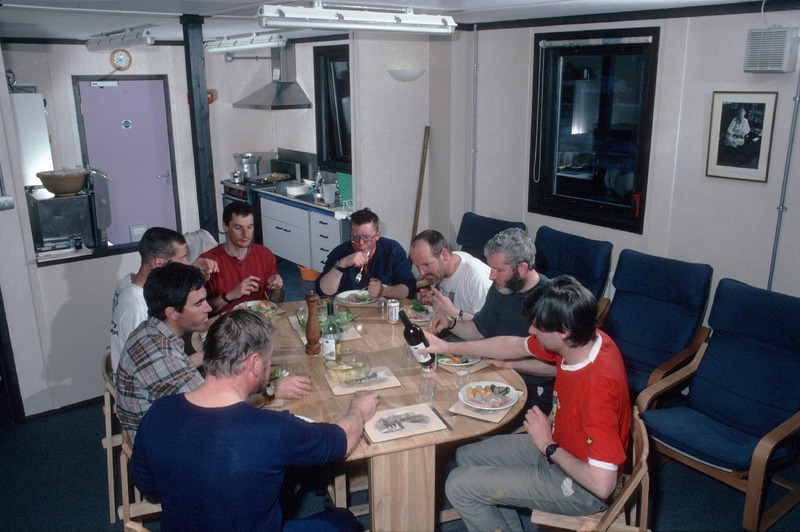 The Netherlands Polar Programme has been working at Signy since the early 1990s, in collaboration with members of the BAS Ecosystems team. 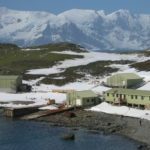 Over the last five years their research has focussed on identifying and understanding the likely consequences of the rapid rates of regional climate change currently being experienced along the Antarctic Peninsula and Scotia Arc. 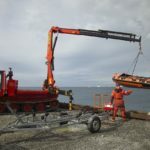 By monitoring sites along a latitudinal/environmental gradient between the Falkland Islands and Rothera – including Signy – and comparing analogous biological features at each, they take advantage of the opportunity provided by a ‘natural experiment’. 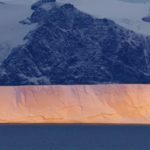 They have also set up open-topped chambers at each monitoring site to conduct a series of long-term environmental manipulation experiments that provide an experimental approach to modelling climate change. Since 2005, BAS has collaborated with experts in microbial diversity and molecular biology from the University of Malaya. 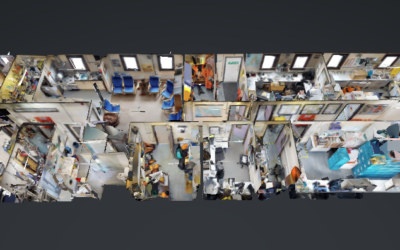 As well as enabling Malaysian researchers to collect data at Signy, by collaborating with BAS scientists the project is helping build capacity in Antarctic operations and fieldwork in the Malaysian Antarctic Research Programme. Microclimate records have been collected at Signy for more than 25 years. 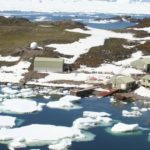 At Jane Col – one of the more extreme habitats on the island, and one expected to show the greatest response to climate change – a microclimate station sends data to BAS in Cambridge once a week via the Iridium satellite network. Together with other stations on Anchorage Island close to Rothera and further South at Mars Oasis and Coal Nunatak, they record soil temperature, air temperature and humidity, wind speed and direction, air pressure and snow depth, forming part of BAS’s long-term studies and data collection that is key to understanding and predicting climate change. The array of sensors help terrestrial biologists study biodiversity and the physiology of plants and animals. The station records the temperature at four depths in the soil (0, 5, 10, 15cm), air temperature and humidity, wind speed and direction, air pressure and snow depth. 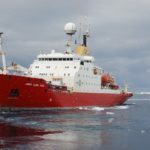 Paul Fox, Senior Responsible Officer for RRS Sir David Attenborough, has written a guest blog for a behind-the-scenes look at NERC’s commission of a new polar research ship for Britain and the associated Antarctic infrastructure modernisation programme. 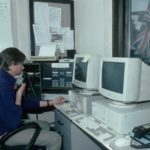 British Antarctic Survey (BAS) is recruiting now. 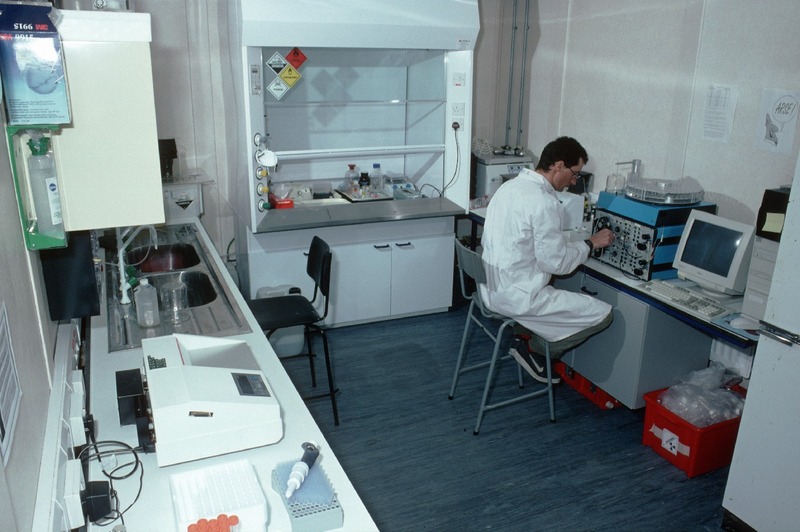 The smooth operation and maintenance of our research stations depends on skilled technical support teams. Check out our latest vacancies!